Insured UK delivery costs of £10.00 are for orders under £1000.00. For overseas delivery costs, please contact the office. Details of how to collect your gold will be included in your purchase confirmation email, alternatively call us on 020 7283 7752. Please allow approx 3 working days for payment to be received into our bank. We will telephone you upon receipt of the payment to arrange delivery details. 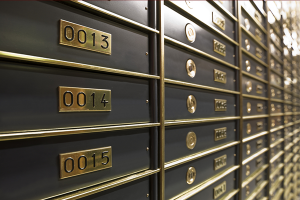 Coins and bars can be stored by Gold Investments on your behalf in our vaults at the London Silver Vaults. The cost of storage is either £50 + VAT per annum or £4 per 1oz bar/coin per annum, which ever the greater. A certificate will be issued. See more about our bullion vaults at London Silver Vaults.